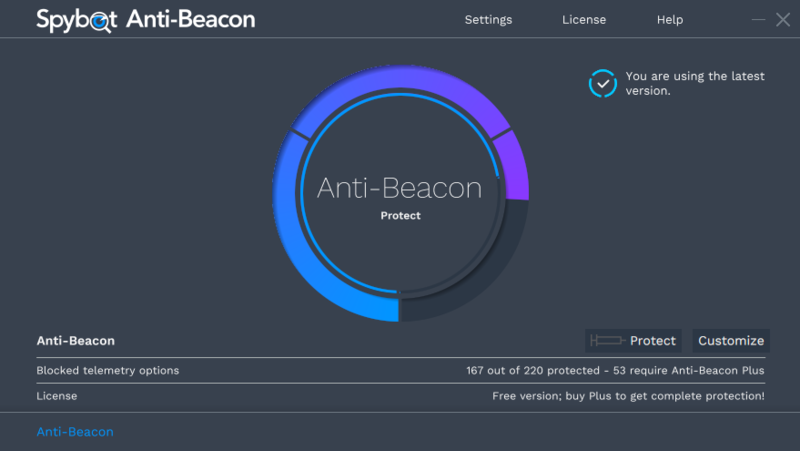 Spybot Anti-Beacon for Windows 10 is a small utility designed to block and stop the various tracking (aka telemetry) issues that come with Windows 10. 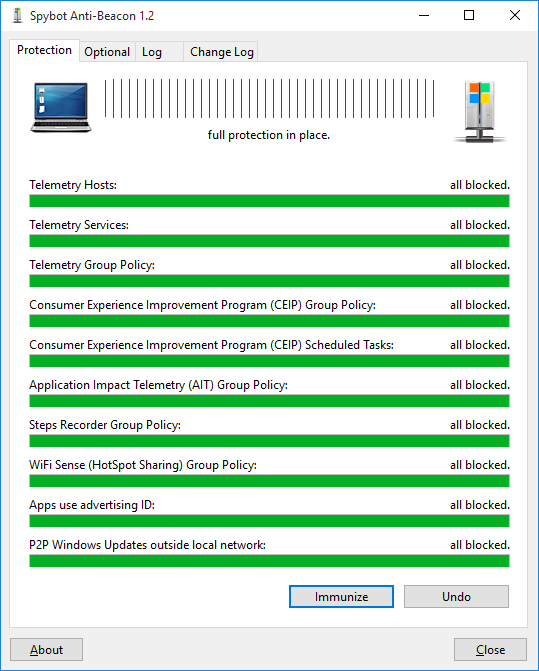 Seeing the bunch of incomplete or broken scripts to disable tracking in Windows 10, and the tools that install adware or worse in exchange for their function, we wrapped disabling tracking up in a small tool that’s free and clean. 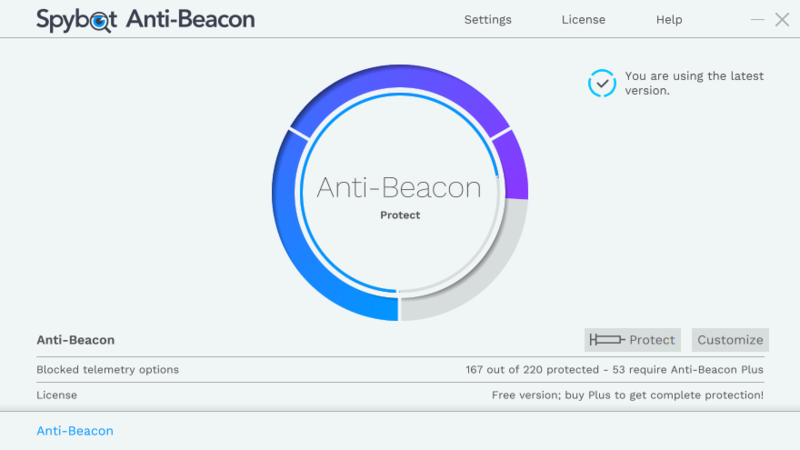 With the upcoming news about telemetry in Windows 7 and 8.1, Spybot Anti-Beacon has added support for those as well. New Windows 10 October 2018 update (1809) protection, including cloud clipboard sync. Added Mozilla Telemetry via Mozilla Configuration. Added preliminary Office 2019 Telemetry entries. Added generic Office Telemetry entries. Improved Microsoft Edge support (eBook telemetry, Microsoft 365 Analytics). Massively improved Office 2016 Telemetry entries. New Details view for descriptions without opening a browser (also brings back exact entry details for those users technically inclined). New Settings screen for settings previously available only as part of the installer. Improved sorting and categorization of customization screen. Support for new Windows 10 dark mode.